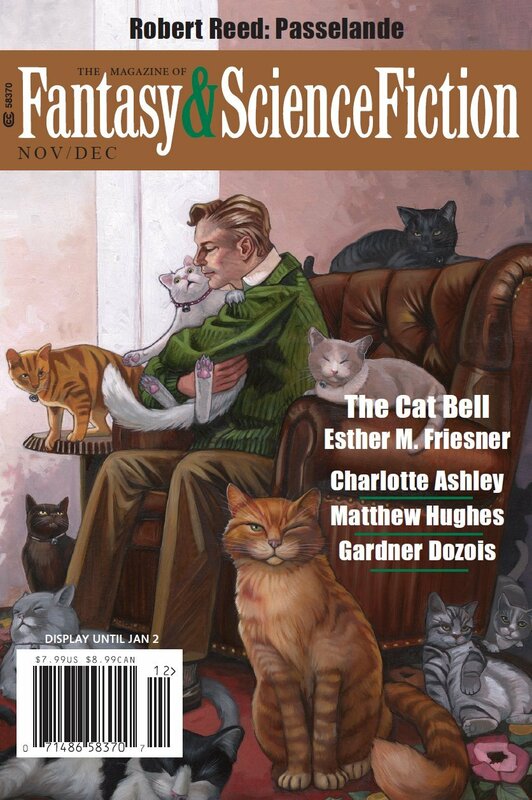 "Special Collections," by Kurt Fawver [bio], appeared in Magazine of Fantasy & Science Fiction issue 11-12|16, published on November 5, 2016 by Spilogale Inc. Pro: The descriptions of the things in the Special Collections section and the accounts of the different people who attempted to explore it are fascinating and even have a certain amount of tension. The creepy superiors who hold secret meetings in windowless rooms are interesting. It even leads one to wonder if the narrator is unreliable and is perhaps a resident in an asylum. Unusually, this story is written from a first-person plural point of view. It's possible that there are allusions to other works of horror (e.g. Lovecraft), but I'm not seeing them. Con: The story is inconclusive.